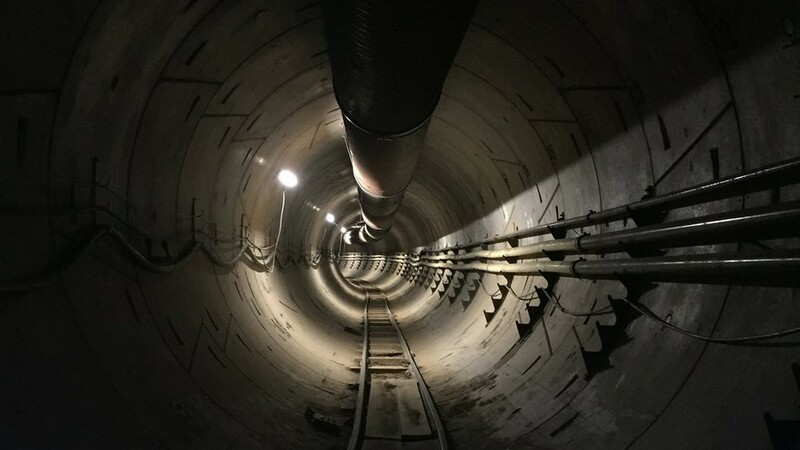 Elon Musk has continued his streak of sharing big news via Twitter: on Sunday, he announced that the Boring Company‘s first Los Angeles tunnel would open on December 10 and offer free rides to the public the following day. The 2-mile tunnel was carved out under Musk’s Space X headquarters in Hawthorne and follows 120th Street, and is a test run for what Musk hopes will be a tunnel network that runs underneath the entire city. The high-speed system, which Musk tweeted would run at 155 mph, was originally intended for private cars but will now be designated for public transit, pedestrians, and cyclists. This is not the only tunnel that the Boring Company has undertaken in L.A.—another 2.7-mile route is being dug under Sepulveda Boulevard, which bypassed California’s strict environmental review process—but this would be the first tunnel that to be completed. Musk also proposed a 3.6-mile-long “Dugout Loop” that would take riders from Los Feliz or East Hollywood to the Dodger Stadium in four minutes, for which the company held a sparsely attended public hearing in August. Of course, beyond Musk’s company’s ability to deliver on his grand promises, the feasibility of the Loop system proposed by Musk will be dependent on passing the state’s environmental review and other approval processes. The Sepulveda-adjacent tunnel also faced community opposition, with officials in Culver City also considering a legal challenge. Will Musk’s eventful summer be capped by the successful opening of a tunnel that improves Los Angeles commutes? Only time will tell.